Ink cartridges lasting for a year — that’s what Brother’s new MFC-J995DW multifunction inkjet printer proposes. It’s the first model to use the company’s new INKvestment Tank system that provides a year’s worth of ink before needing replacement. According to Brother, the INKvestment Tank is the successor to the INKvestment series, which was developed based on how people were using printers. Replacing ink, and frequency and cost of doing it were the main things causing pain to consumers, and INKvestment Tank series take addressing adresses these points to another level. 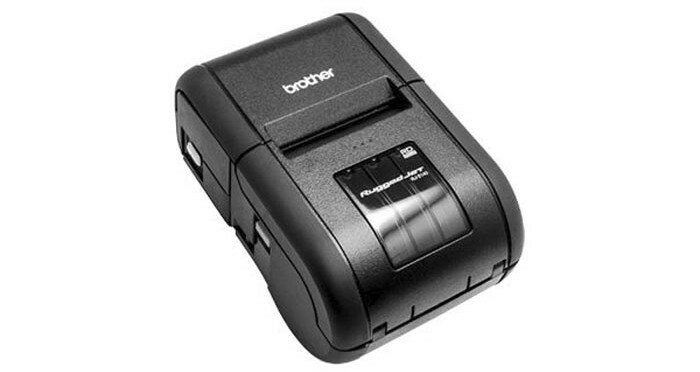 When it comes to monochrome laser printers, the Brother HL-L2350DW ($119.99) is about as entry-level as you can get. 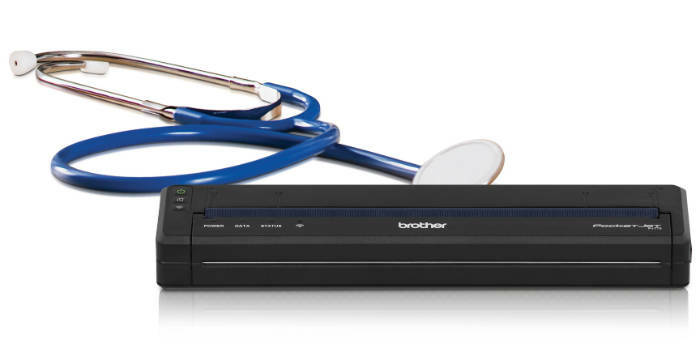 If your print volume doesn’t exceed a few hundred pages each month, the Brother HL-L2350DW should serve your low-volume home-based or small office or workgroup quite well. It should also make a good personal monochrome laser printer. 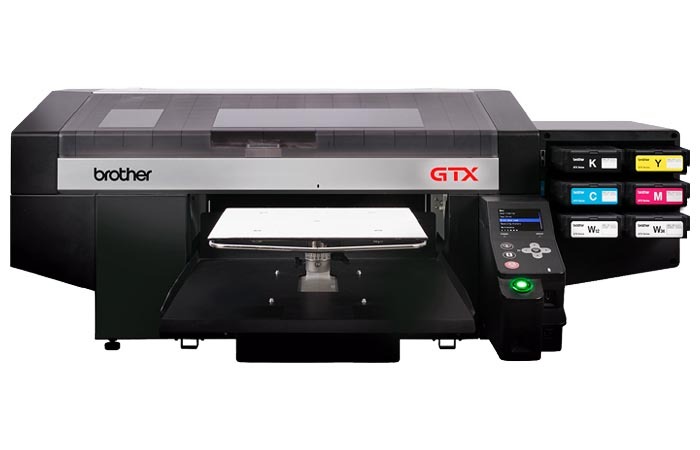 In the beginning of September, Brother International Australia has introduced its digital direct-to-garment printers with the new Brother GTX model. The new gadgets feature next generation printheads providing multiple capabilities for efficient printing on different types of media resulting in high quality prints at production level speeds. 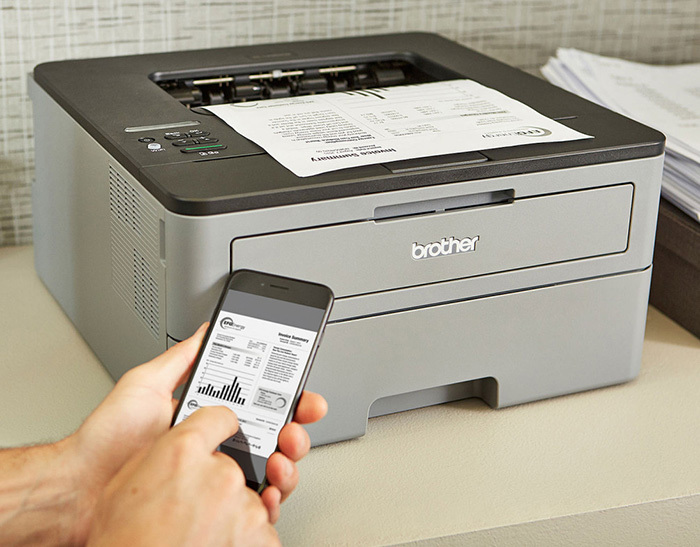 Brother Mobile Solutions, Inc. has launched its new lineups of printers for POS and will show them at RetailNOW 2017, August 6–9 at the Paris Las Vegas Hotel in Nevada. This specialized trade show gathers together retail industry technology providers (resellers, POS and payment professionals, software solution vendors, manufacturers and distributors) and represents novelties among retail mobile products and solutions. This year, the slogan of the show is “reAlign, reUnite, and reEngage” which is related to the recent market challenges occurring in the context of rapid growth of on-line consumer shopping and inner industry changes. Many offices nowadays have to spend much time before they find a brand and a printer that will exactly match their needs. In some cases the problem is in too little functionality—and then they have to outsource some jobs, in other cases—too many idle functions which accompany much occupied office space and wasted money. 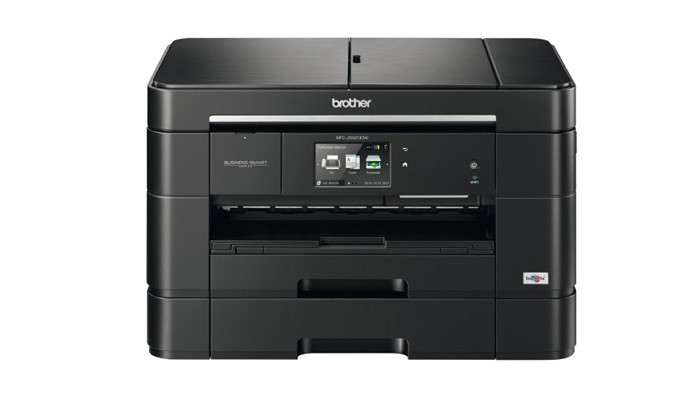 Recently this year, Brother has renewed its lineup of MFC inkjet printers and launched an MFP which is a potentially indispensable office gadget overcoming all the above mentioned problems. Being one of the printing industry leaders, Epson continues to improve its gadgets to meet the demands of a morden office environments, the main feature of which is mobility. 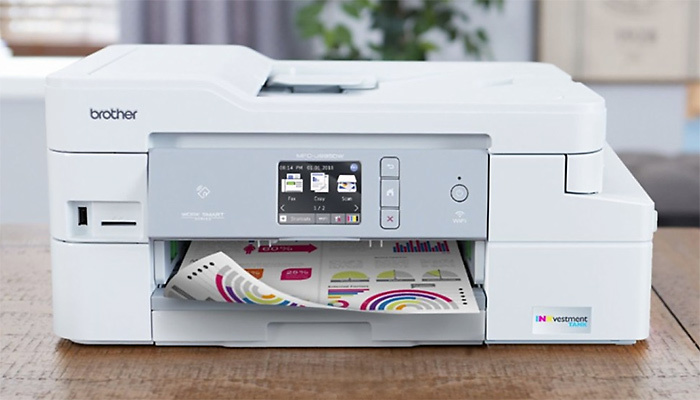 The company has launched a new line of WorkForce 2700 series printers to provide home and small offices with the gadgets wirelessly connecting to a PC, smartphone or tablet to print from anywhere effortlessly. 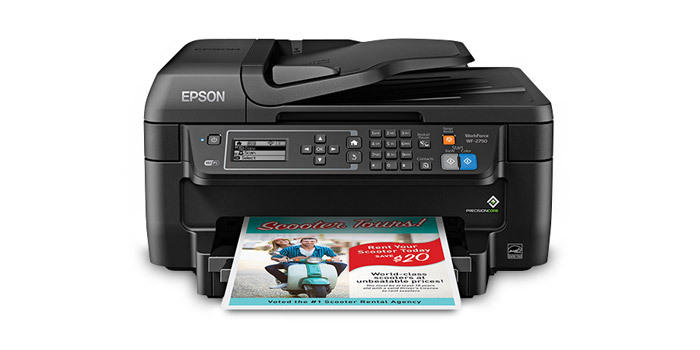 The two new models—WF-2760 and WF-2750—are all-in-ones that use Epson Connect platform to deliver this level of connectivity. They support the most popular systems (Apple, Android, Fire, Chromebook and Windows devices) and allow to scan docs, save them to the cloud and print out when it’s needed by any connected printer. The printer consumables’ cost and frequency of change were always a sore point of printing industry. 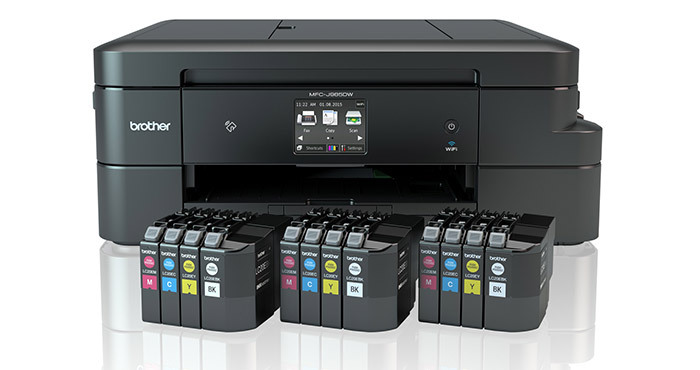 Nowadays, there are several decisions to this problem: Epson provides refillable ink tanks, HP—a subscription program ordering new cartridges online when the old ones are running out of ink, and now the Brother’s way of solution—to put more inks in the box. The producers claim that with this amount of inks you’ll need to change the cartridge only in two years. 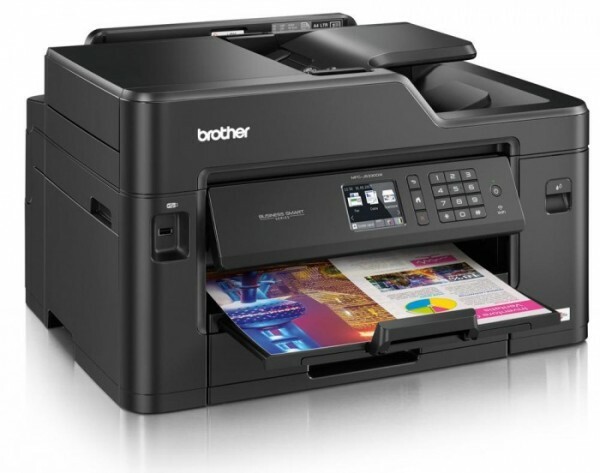 On January 20, Brother International announced the launch of its first line of printers aimed at mid-market companies. The line within its L5000 and L6000 series includes printers, all-in-ones and 3 multi-function copiers. All the models possess high-technology advanced features like NFC credit card security and cloud and mobile applications. The high-end devices print, scan and copy up to 50 B/W pages per minute and 100 two-sided B/W pages per minute. The new models are compatible with Amazon’s new Dash Replenishment program, automatically monitoring toner level and sending requests for new ones, and integrated with network capability. Steve Feldstein, Brother’s product marketing director of scanners and business products, calls the new devices a “pod”. Many printers in a mid-sized company work together, organizing the environment suitable right for the needs of the exact place meaning that an employee doesn’t need to lose time walking to a centralized copier and the company doesn’t need to purchase a costly bulky multi-function printer with multiple capabilities usually not taking advantage of them.